When the title was first announced a couple months ago, one of the key ideas that was emphasized by the game's director, Emil Kraftling, was that this isn't a "go in guns blazing" kind of FPS, but a "guerrilla action game." The trailer actually shows off how some of that idea plays out as you get to see a few scenarios where a group of players lay an ambush for the machine foes, and either use different weapons (like a sniper rifle and an assault rifle) to take down a single target, or things in the environment, like an electrical breaker box. It also seems like you'll be working with friends to piece together clues and other details in the environment to figure out what happened and from whence the robots came. 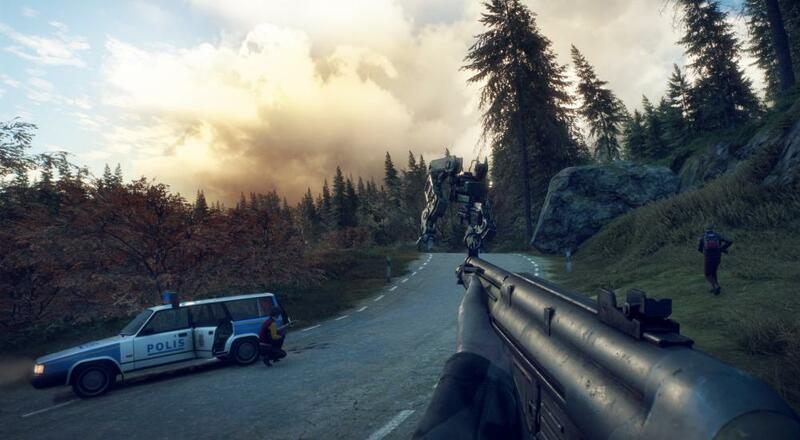 This is definitely not your typical FPS. No set release date for Generation Zero still, just that it'll be coming sometime next year for PC, PlayStation 4, and Xbox One. There's a closed beta coming at some point this fall and you can sign up to try and get into it over on the game's official website. I'm definitely curious to see how all this pans out and if the "mystery" hook is strong enough to pull me into the game for a spell. Page created in 0.5891 seconds.